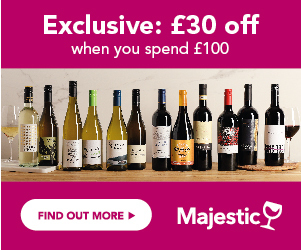 Compare Asti offers from the biggest merchants in the UK! Use our search function below to find the cheapest or most discounted bottles. Follow reviews and Price History to get all the information you need to make the right choice. Sign up to a Price Alert on your favourite brand to make sure you never miss a deal! Asti is a deliciously sweet, frothy, refreshing sparkling wine, produced in the Piemonte region of north west Italy. It is still one of the largest production styles in the country, with Asti producing at least 10 times as much wine as its famous, Piemontese neighbour, Barolo. Volumes are large, and Moscato, the grape which is used to produce this wine, is still the 4th most widely planted grape in the whole of Italy. Asti used to be known as Asti Spumante, until it received the top quality award of DOCG in 2004, when the name changed to Asti. Asti suffered very bad press and a major sales decline in the nineties, when the wine was dismissed as cheap, sweet, fizzy plonk, and seen as downmarket, in the days when Champagne’s star was continuing to rise. However, there has recently been an uplift in both sales and reputation, driven by the current fashion in the US for Moscato, which is starting to have an umbrella effect in the Uk. Whilst there have been some unforgivably bad wine around, there is much to recommend Asti, with its freshness, and vibrancy, and styles available are now generally of high quality. Asti is a town in the south east of the Piemonte wine region in north west Italy, which has been producing wine for centuries. Known as Asti Spumante, until 1994 when it received its DOCG, the Asti production region covers an area, which includes the town of Asti, and also those of Canelli and Cuneo, and their surrounds. All Asti is made from the Moscato di Canelli grape, which is a very fragrant, fruity grape, but one which ripens quickly and can burn in the sun, so it is harvested early, and produces a lighter, frequently lower alcohol style of wine. It has a maximum alcohol of 12% ( one of the few regions to have a maximum) and a minimum of 7%. Asti first grew in popularity after the 2nd World War, when US troops took this light, sparkly sweet wine home with them, and the export market was started. At that time the sparkling wine was made by the Champagne method, with the secondary fermentation in bottle, however with the increase is production and to keep the price down, Asti moved to the Charmat method, where the secondary fermentation takes place in a sealed tank, and the carbon dioxide, which produces the bubbles, is trapped. When the desired level of alcohol is reached, the fermentation is stopped, while the sugar levels are still high, by chilling the wine to almost freezing point, then filtering and bottling. This is one of the reasons why quality went down, and the low quality image was born. Fortunately, the reputation of Asti is now growing again, with a real focus on quality. What Does Asti Taste Like? Asti is a deliciously fruity, sweet, lively, frothy wines – one of the few wines, that actually tastes of fresh grapes! The best Asti really does taste of fruity, fizzy fresh grape juice. It must be drunk very cold, preferably, on a hot sunny day, or with a deliciously fruit and cream dessert. The ultimate accompaniement for Moscato is a bowl of strawberries! Chilled, frothy wine, ripe, succulent strawberries, and preferably a warm summer’s day, would be the perfect scenario.